Twenty years ago, I was a young man, making my way in Hollywood as best I could. In ’97, I had produced and starred in my first, little indie film, Burn. We won some awards and traveled to film festivals all around the world, but we did not land a deal for distribution. So by ‘98, I was depressed and flat broke. I’d come to Hollywood at the age of 20 with dreams of fame, intending to be an action star along the lines of Harrison Ford or Tom Cruise. Now, I was left wondering if I would ever be able to make a decent living for myself in the entertainment industry. The concept of anyone ever knowing my name as a result of my work seemed impossible at best. Smack in the middle of this existential crisis, my agent got a call. Kris Zimmerman, the casting director I’d worked with on Captain Planet (my first real Hollywood voice-over job) wanted me to come in to read for a secret, new video game project. 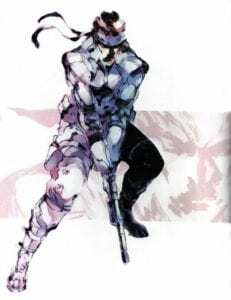 Solid Snake concept art by Yoji Shinkawa. I drove down to a strange little house on Orange Avenue, right in the middle of Hollywood. The house had been converted into casting offices, and the living room had been turned into a makeshift recording studio. Kris greeted me warmly, and the Japanese casting director, Keiko, took me on a tour of the artwork hanging on the walls, drawn by a man named Yoji Shinkawa. You all know it now. But I got to see it first. I had been on a lot of strange auditions, for a lot of weird projects that went nowhere. I was once cast as the lead in a feature film adaptation of Pilgrim’s Progress, which eventually lost its funding and transformed into a horrible little stage adaptation, which was to be mounted on some youth group church stage in Orange County. This project felt cool. Like it had potential. So much for potential, I figured. But in 1985, my family had moved me to Japan, where I went to high school, and I had spent the past five years recording voice work for Anime titles like Moldiver, They Were Eleven, Yu Yu Hakusho and War in the Pocket.So I was familiar with weird, Japanese titles. And besides, a gig was a gig. I did the read. I was auditioning for the role of Snake: a hard-edged Special Forces soldier heading into an infiltration mission solo. It was exactly the sort of action hero I’d always wanted to play. I put my all into it.I felt good about the audition. But after a week had gone by and I’d heard nothing, I figured it was just another lost opportunity. One more audition in a sea of them. Given my poverty, I spent a good deal of time visiting my friend Adam Duritz, whose band Counting Crows was recording their third album in a sprawling ranch house up in the Hollywood hills. I would join them most days, primarily because they always had free food laid out, and you could usually snag a beer from the band fridge. I was eating and hanging with the band, when my Motorola Star-Tac flip-phone rang with a digital chirp. Much like Captain Kirk, I flipped it open. “Hello?” I said, as the kids did in those days. It was Jennifer Hale, my friend of about five years. Jennifer was also a well-known voice-over actress, my voice-over mentor and occasional fairy godmother. “Hey, it’s Jennifer,” she said in her valuable, silken purr. “Guess who’s going to make some mo-ney? !” She trilled, in a delighted sing-song. “Is it me?” I asked, with sick, desperate hope. With my luck, it was probably her. Except, this time it was me. They sent me the script. It was over a thousand pages. The stack was literally two feet high. I started to read. My suspicions were confirmed. It was cool. And my part was badass. Except … Snake was older than me. He had already become a military legend. He’d already retired when Colonel Campbell went back to Alaska to bring him back for one last mission. 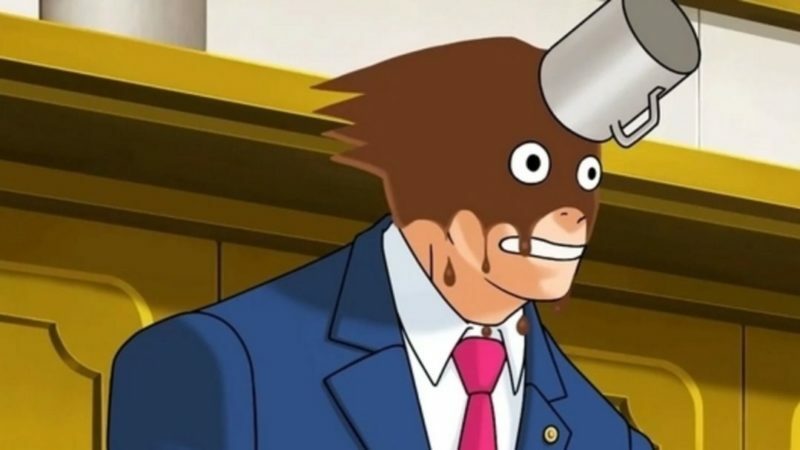 I started to worry. My voice didn’t match this guy at all. My voice, my speaking voice, is young and cocky. Like some kind of irresponsible fighter pilot who doesn’t know when to shut up. So as I read the lines, the voice that began to emerge was lower, rougher. More tired. Metal Gear Solid for PlayStation 1. Tired of being dragged back onto the field. Tired of the responsibility. And absolutely done with being called a legend. As my voice roughened, and the weight of experience crept into it, I felt a zing of electricity shoot up my spine. This guy wasn’t me. But he was somebody. 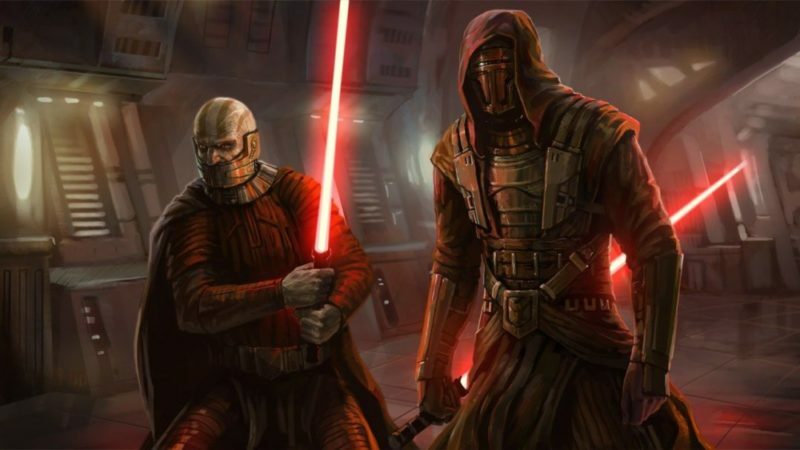 He was his own man, capable and tough. He was larger than me. Larger than all of us. He was a role that everyone would be able to step into. And then they would feel badass, like they could take on the world. As we recorded that first game — it only took 10 days, while Metal Gear Solid 4: Guns of the Patriots took nine months — I began to feel like I might be a part of something very special at last. Something that might catch on. Now here we are, 20 years later. I have appeared at eight comic cons and fan expos so far in 2018. I’ve signed countless autographs, and spoken to thousands of people this year alone about their love for Snake, and how his adventures have changed their lives. I’ve had a number of fairly cool adventures myself since then. 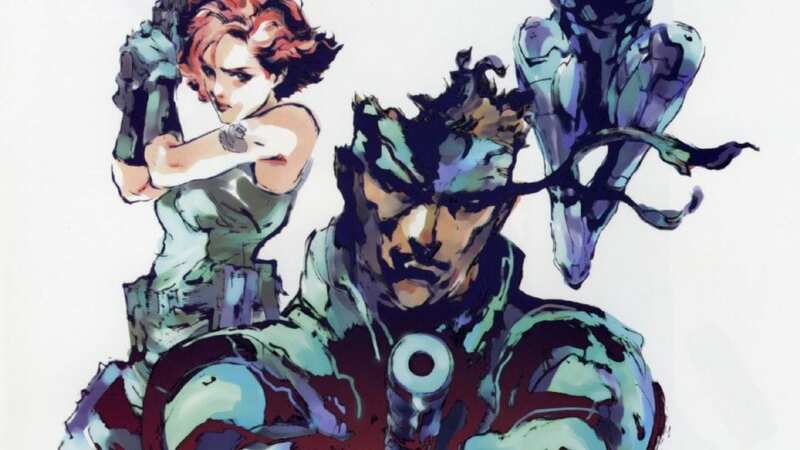 In 1999, the year after we recorded Metal Gear Solid, I took a job answering the phones on the movie X-Men only to end up rewriting the screenplay, ultimately receiving sole credit on the film. That lightning strike of opportunity has lead to my writing many other films, and I built my life into that of a proper Writer-Producer-Actor-Director. I’ve directed a film with Jason Momoa. I’ve had four movies open at number one, worldwide. My current job is co-producing Warrior Nun, a television series coming to Netflix next summer. But it was Snake who made me famous. And it was Metal Gear that created the most lasting impression on the most lives. People call me a legend all the time now. (It happened last night.) 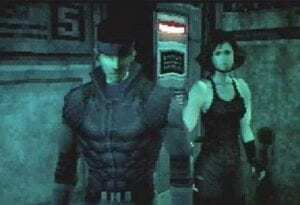 And frankly, I’m not sure how Snake ever got so tired of it. I am profoundly grateful for the happiness this man, this warrior, this legend has inspired, the impact that he’s made, and the fans who’ve shared their love with me over the past two decades. Maybe that weird little title had some potential after all. 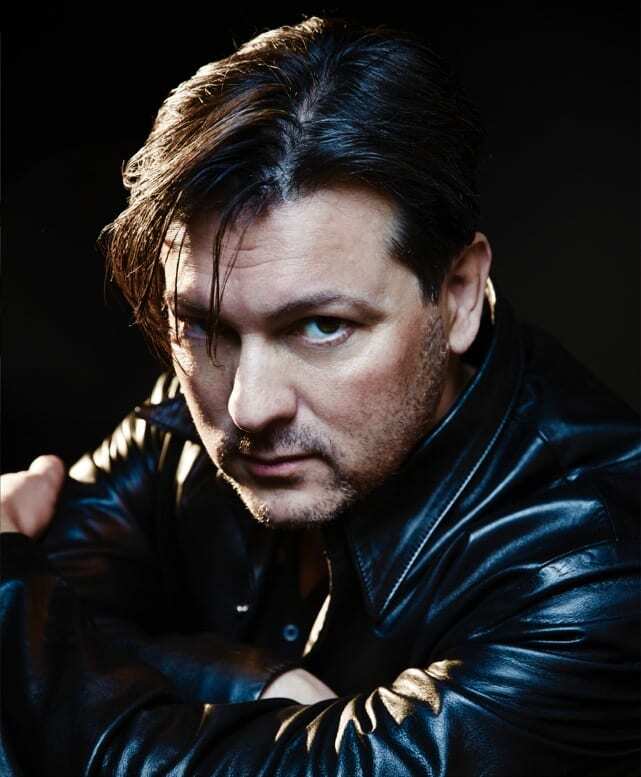 David Hayter’s films have amassed over one billion dollars in worldwide box office with screenwriting credits including X-Men, The Scorpion King, X2 : X-Men United, and Watchmen. As a producer, he created the film Burn with Bryan Singer, and the pilot episode of Lost in Oz. As an actor, his credits include the lead in the sci-fi film Guyver: Dark Hero, the voice of Captain America on the Spiderman animated series as well as a decade-long stint in the role of Solid Snake in the hugely popular Metal Gear Solid series. David directed his first feature film, WOLVES with Jasona Momoa, in 2014. He is repped by the United Talent Agency, Fourth Wall Management, and attorney David Feldman.